Prepare beef as directed on taco seasonings. 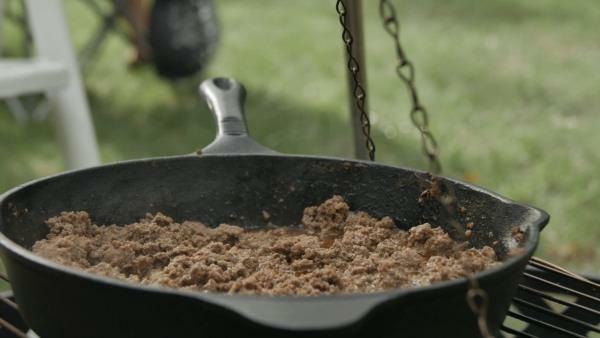 It can be cooked on a stove top or over a campfire. Cut open bag of chips sideways. Add in taco meat and desired toppings. Shake and crunch bag to mix up ingredients. Enjoy!